In a faraway land vegetables and animals were living a peaceful life. The animals didn't abuse vegetables, and the vegetables feed the animals. But one day everything has changed. 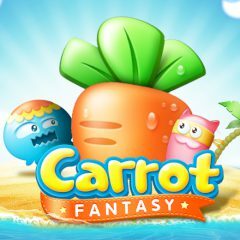 The animals decided to eat the Vegetable Princess Carrot. This plan was so cunning that the vegetables had to build defense towers. Upgrade the towers earning money and destroy the invaders!